Insulin pumps are devices that are used to deliver a measured dose of insulin subcutaneously before or after meals or whenever blood sugar levels become too high. Insulin pumps are much more flexible than insulin injection methods and can help prevent many of the long term diabetes side effects that can occur when insulin is administered at less well metered doses. This article provides an overview of the technology and proper use of insulin pumps and also looks at some insulin pumping technology that is right around the corner that will make controlling insulin levels easier than ever before. 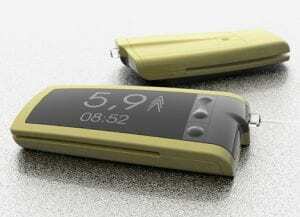 Insulin pumps use a small catheter that is placed under the skin to deliver doses of insulin as needed. Insulin pumps are typically programmed to deliver three different doses of insulin. The first is delivered continuously to meet the insulin needs of continuous metabolism. The second type of insulin delivery is a bolus delivery to cover the carbohydrates that are consumed in a meal or a snack. Most insulin pumps have buttons that will allow you to adjust the amount of insulin added based on the amount of carbohydrates in the meal or snack. Finally, insulin pumps also allow you to administer corrective doses of insulin in case the amount of insulin in the basal and bolus doses did not meet all of your insulin requirements. Many people think that wearing an insulin pump can make it impossible to do vigorous tasks such as playing sports or jogging. This is not the case. When playing vigorous sports, you can use sturdy elastic to attach the insulin pump to your arm or chest where it should be quite secure. If you are playing an extremely physical sport such as football or rugby, it may be necessary to remove the insulin pump for the duration of the activity. If you must do this, be sure to take an extra bolus dose of insulin to make up for the basal activity that you missed during the event. Clearly, in order to take advantage of all that insulin pumps have to offer, you have to know how to calculate and control the amount of insulin needed. The first step is to measure the amount of insulin that you use on an average day. It is best to take an average of multiple days in order to get the best approximate dose for a typical level of daily need. Once you have come up with a solid average figure, you need to divide the total dosage into basal and bolus amounts (typically forty to fifty percent for basal and fifty to sixty percent for bolus insulin). Next, you must divide the basal insulin dosage by twenty four to determine you hourly basal insulin requirements. This is the number that you will program into the insulin pump, plus any corrections that you must make for activity or for your individual metabolism. While modern insulin pumps are a great way to ensure that your insulin is administered at highly metered doses and to keep basal rates consistent, it can still be a pain to continuously program and reprogram the pump. So called “closed loop” insulin pumps are currently in development that will allow continuously monitor blood glucose levels and supply insulin “on demand” as glucose levels fluctuate. This would remove the need for external glucose measurements (except perhaps occasional measurements to verify that the closed loop pump is operating properly). In many ways, this will constitute a replacement pancreas, and will remove many of the manual steps involved in using insulin pumps. These devices are still in development and testing, but they may one day revolutionize the treatment of diabetes.